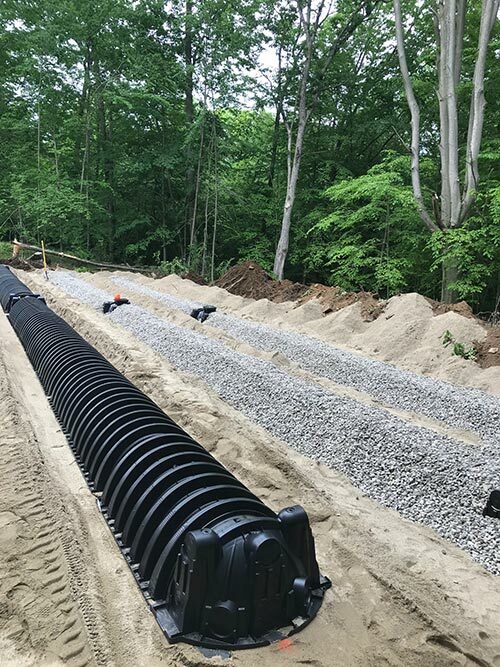 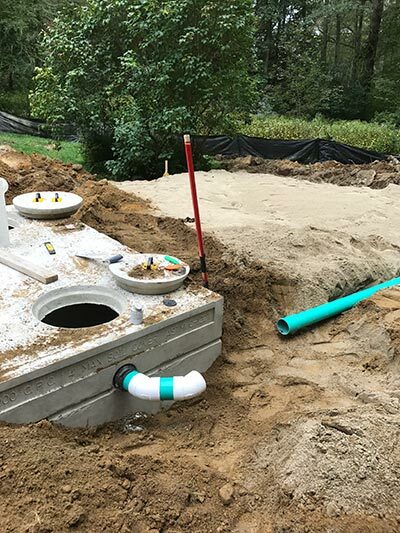 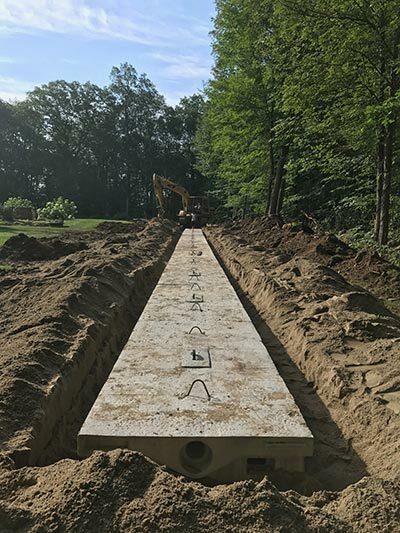 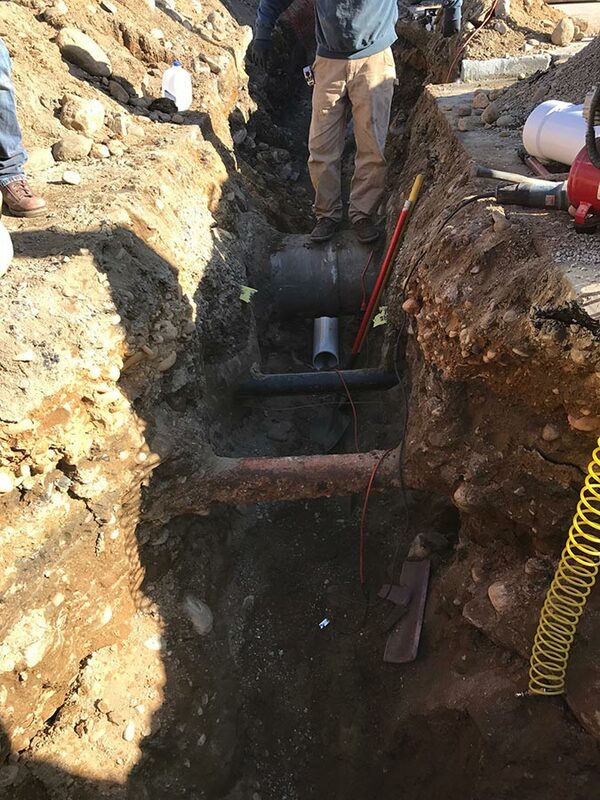 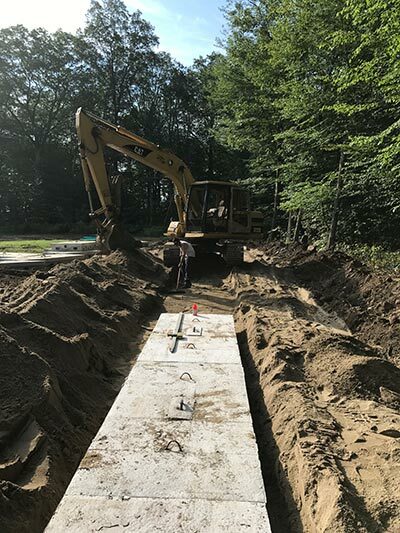 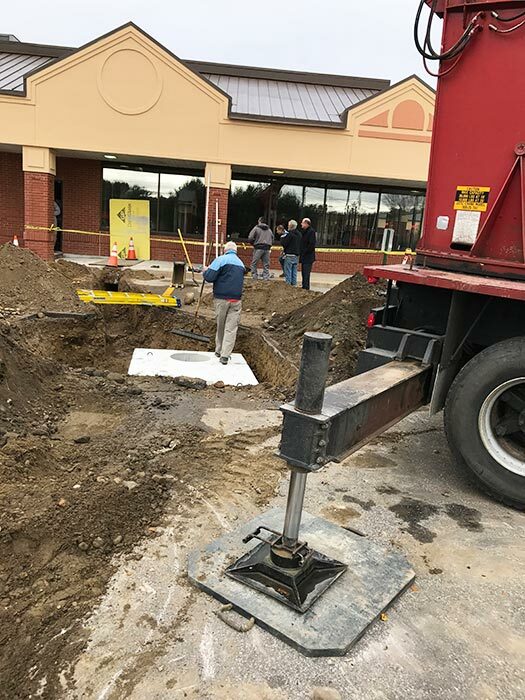 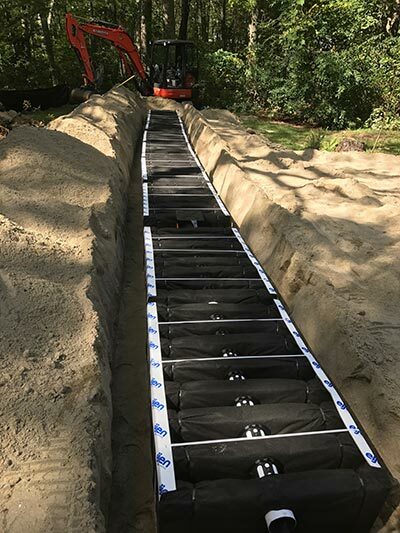 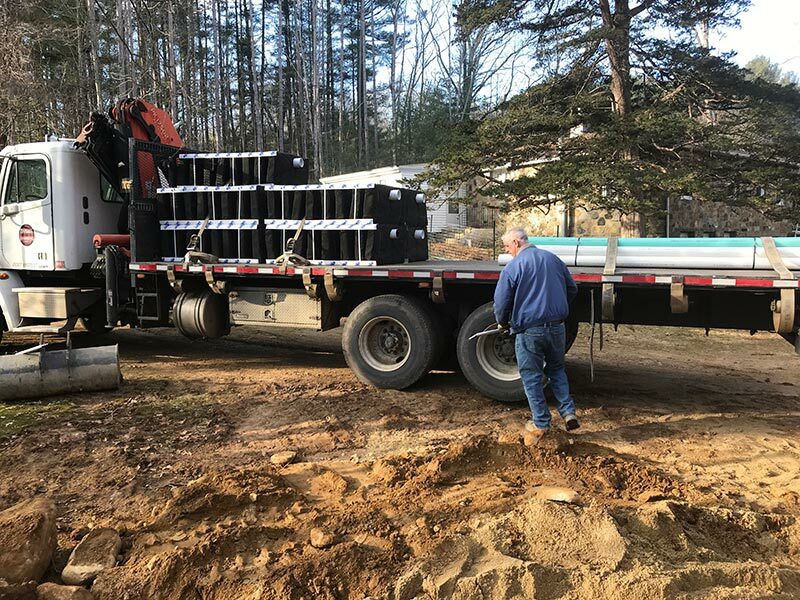 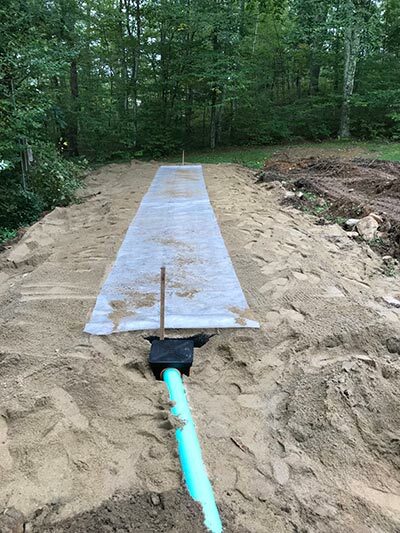 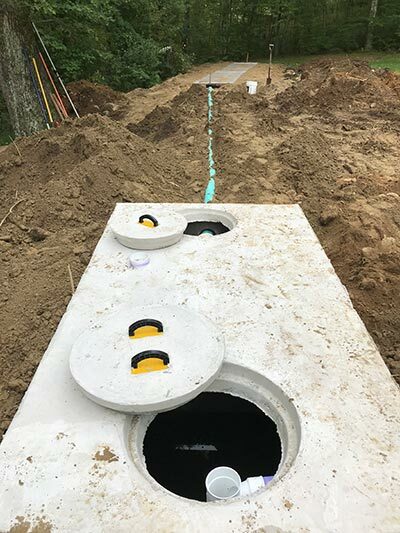 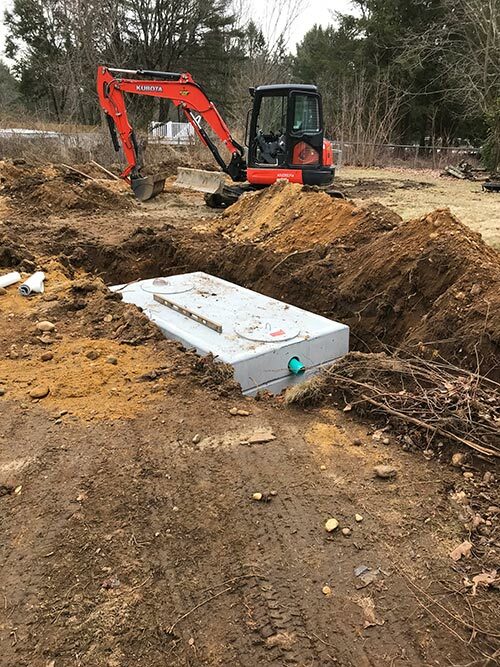 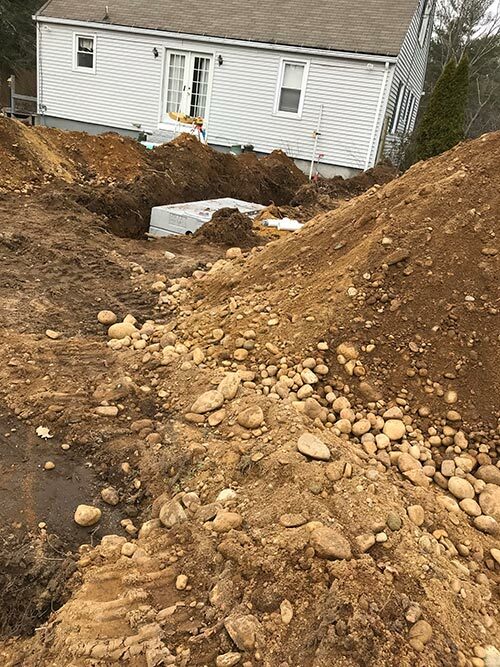 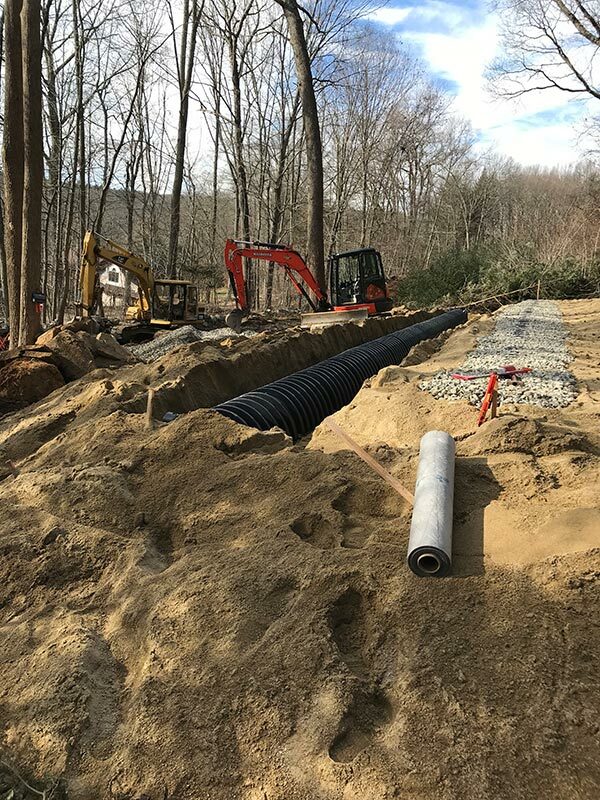 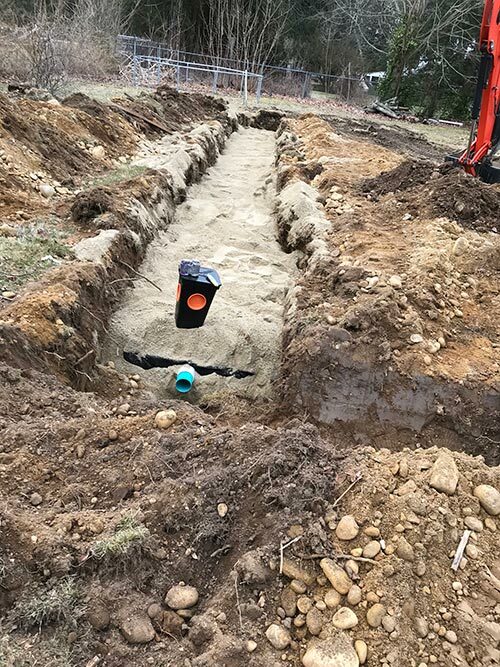 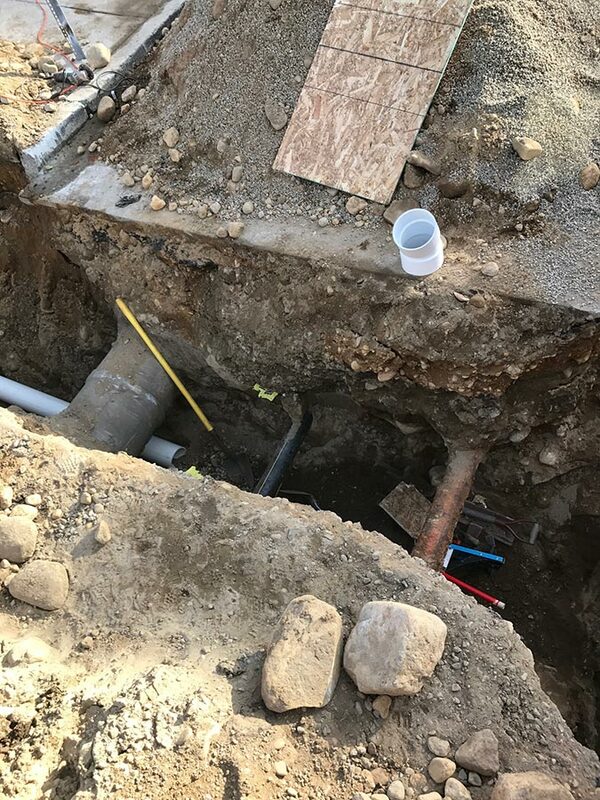 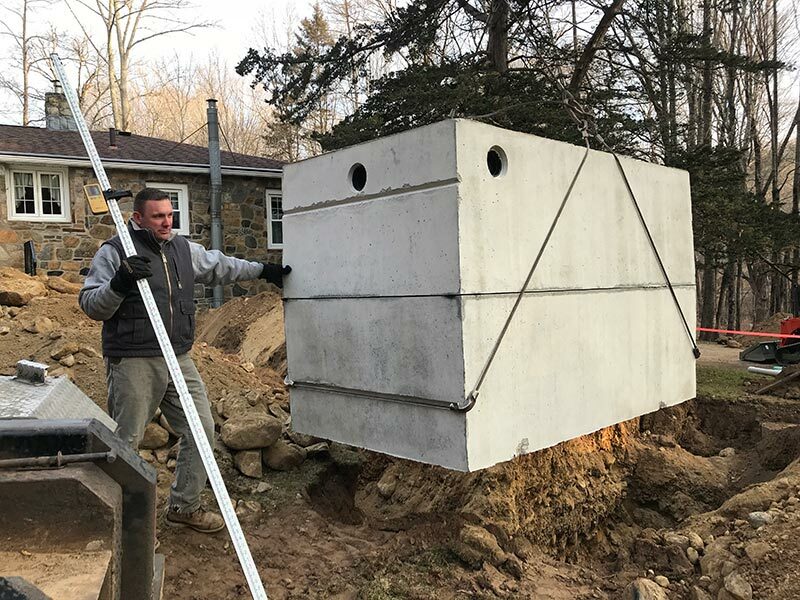 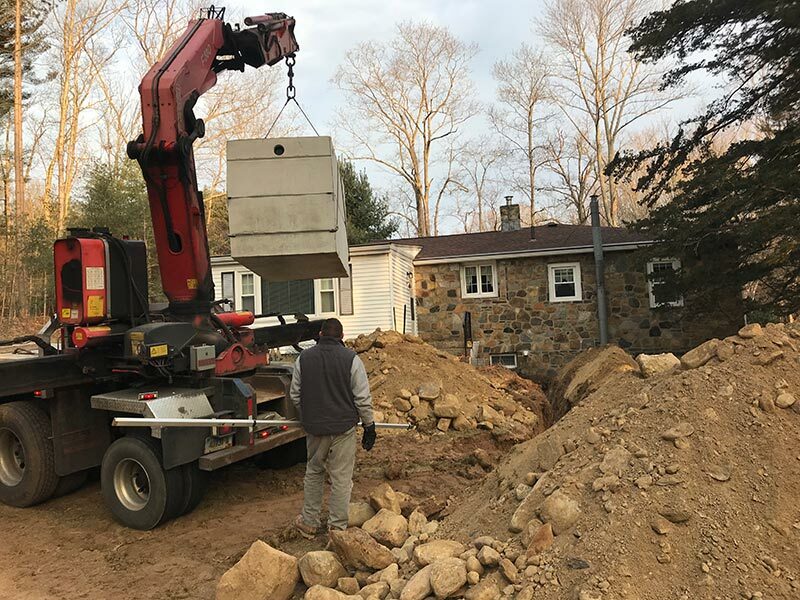 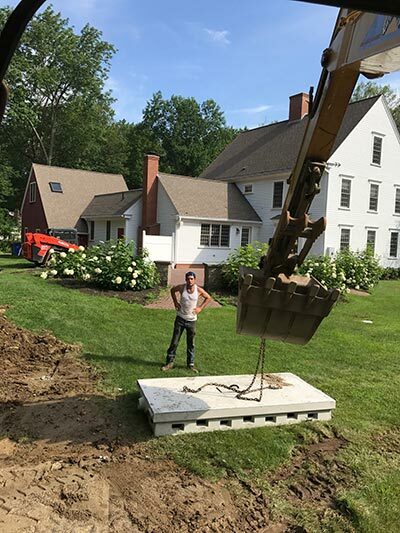 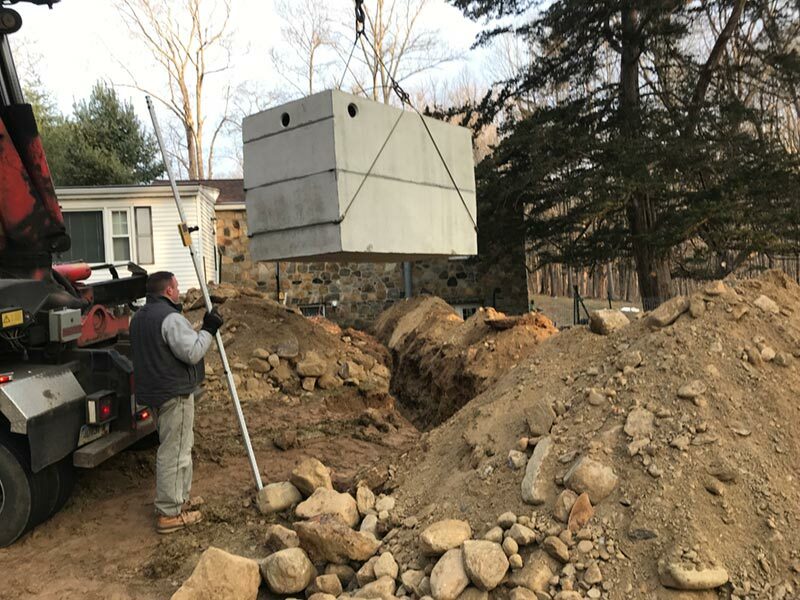 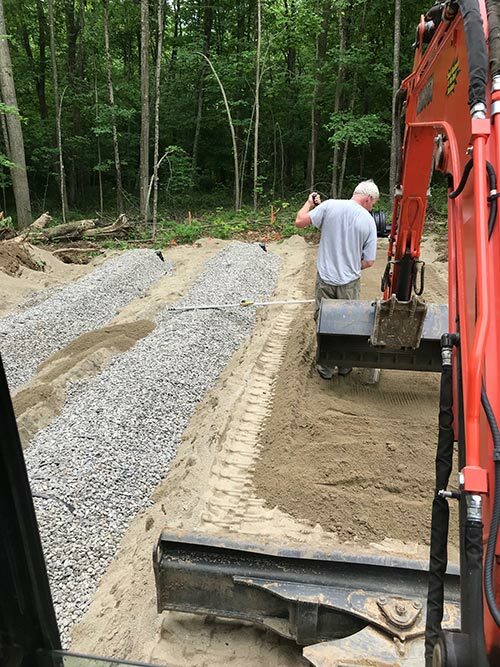 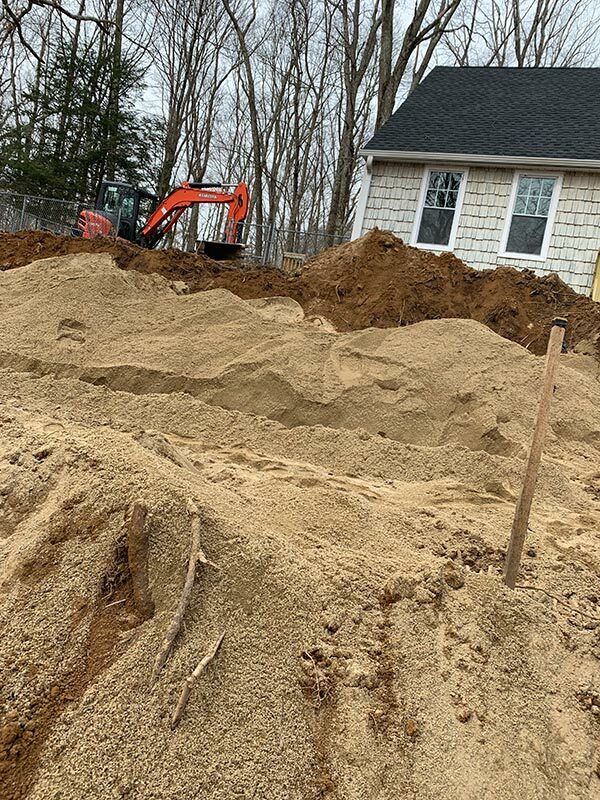 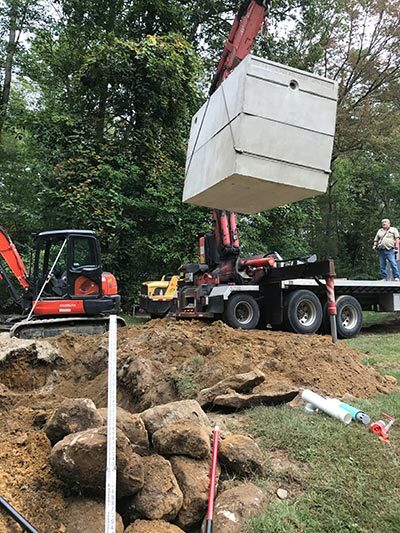 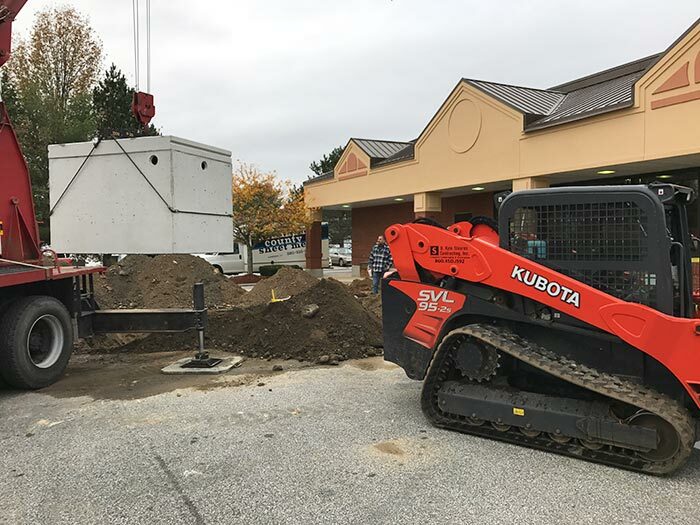 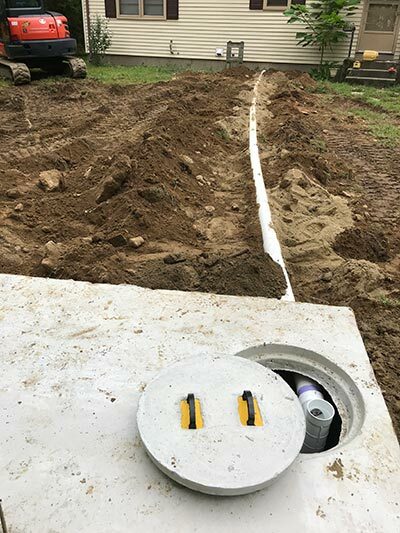 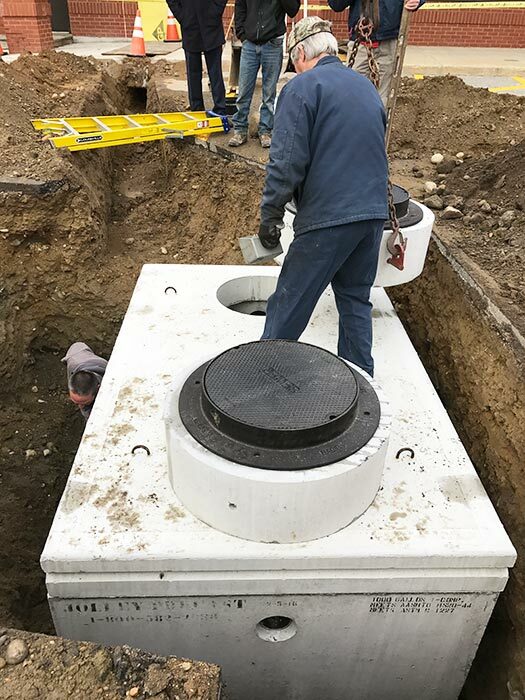 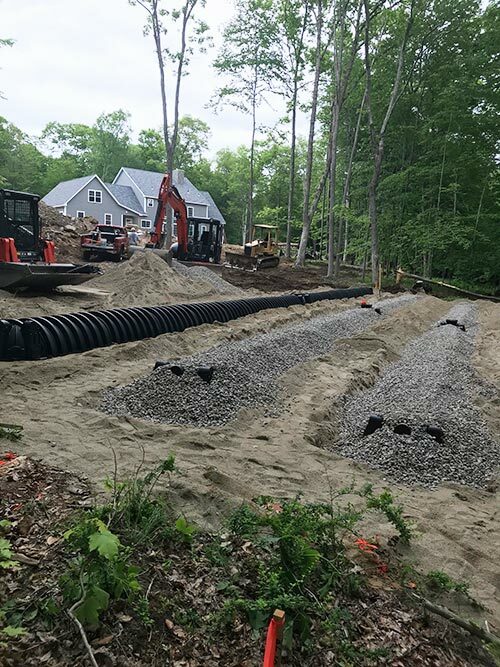 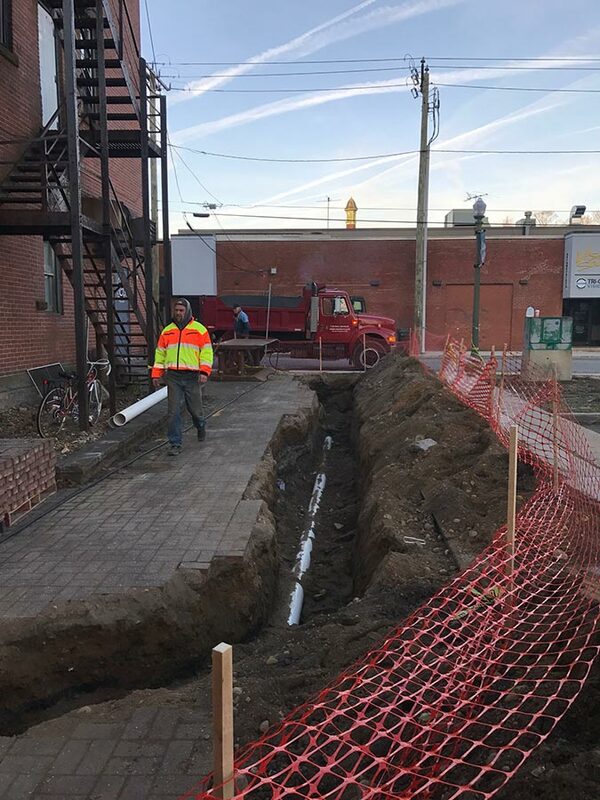 When you need a new or replacement household septic system in Tolland County, contact the best contractor for the job: D. Kyle Stearns Contracting. 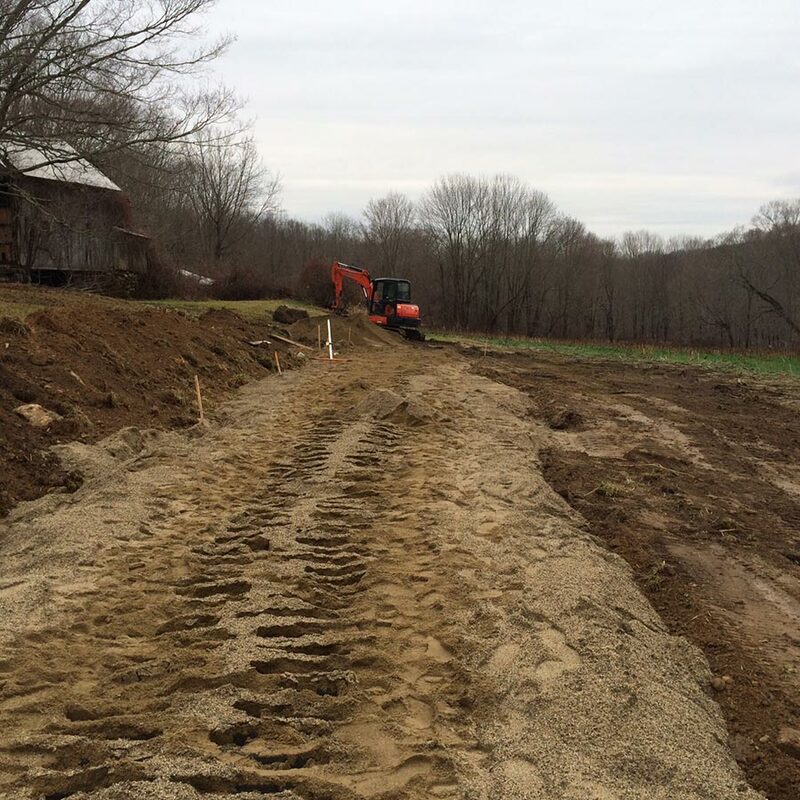 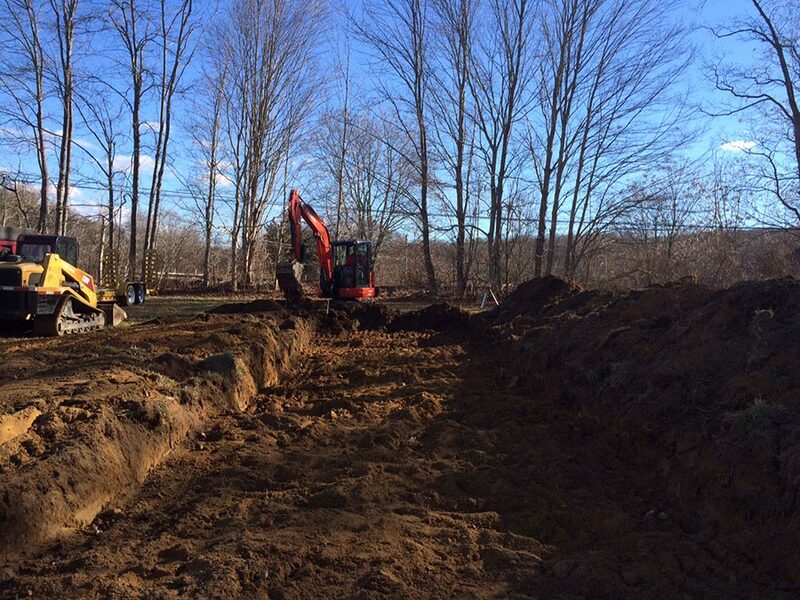 D Kyle Stearns Contracting is a licensed contractor for the installation of septic systems and leaching fields. 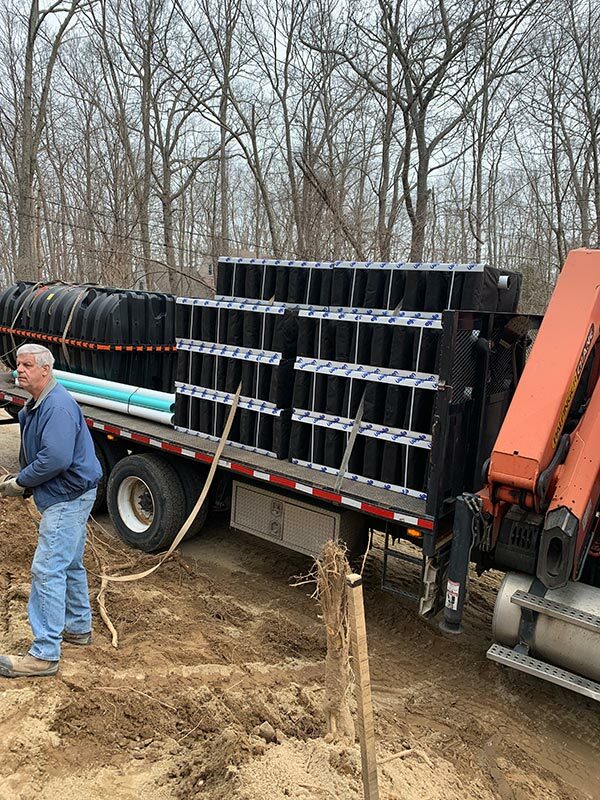 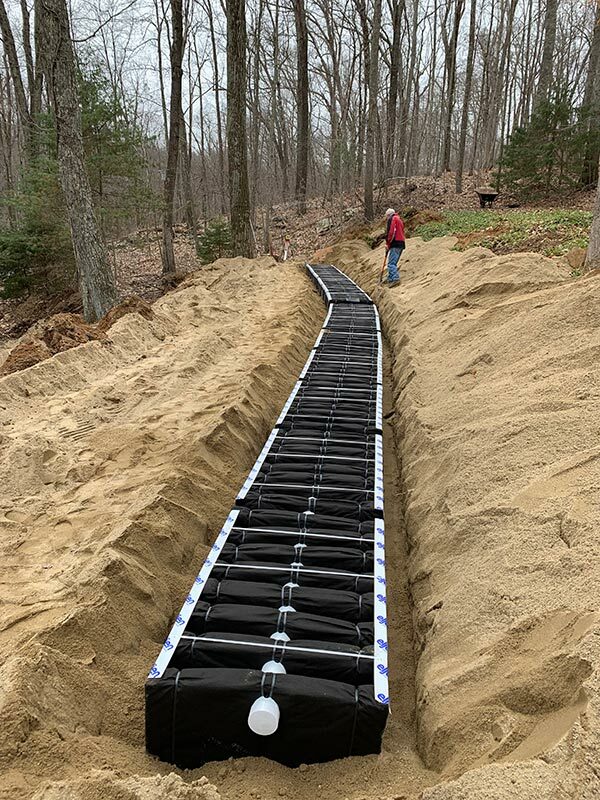 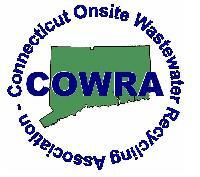 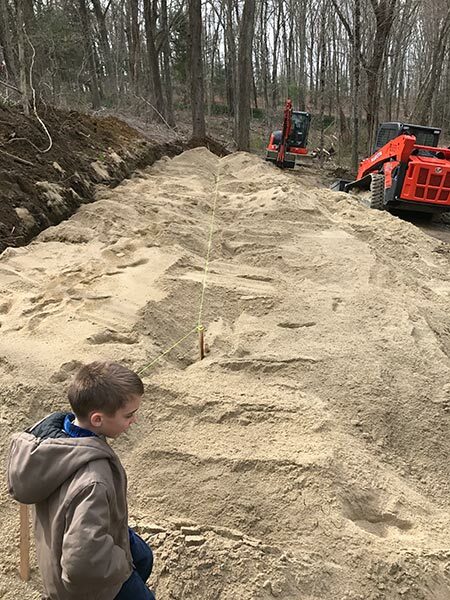 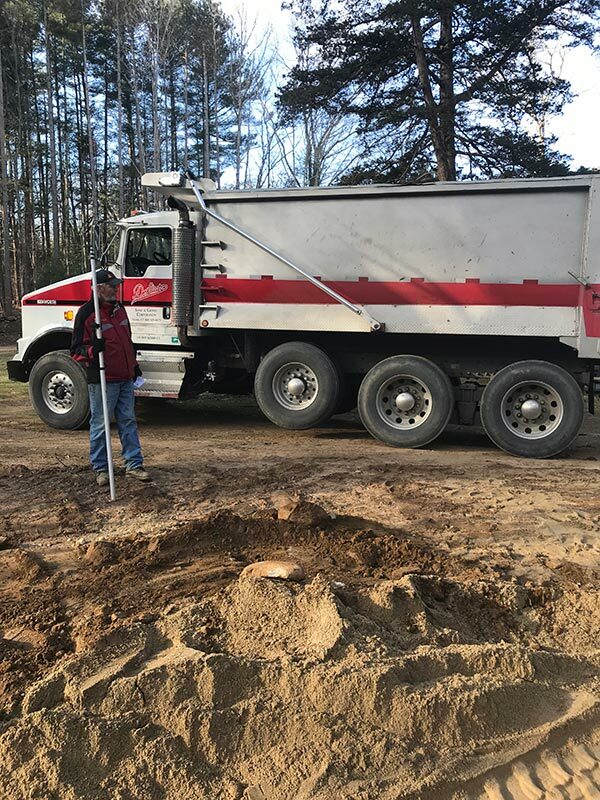 An eastern Connecticut based company, we service all towns in Tolland County Connecticut. 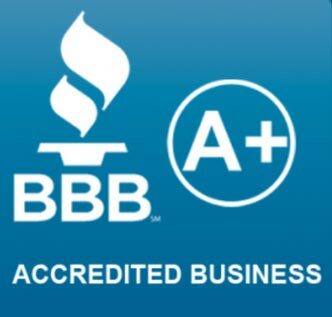 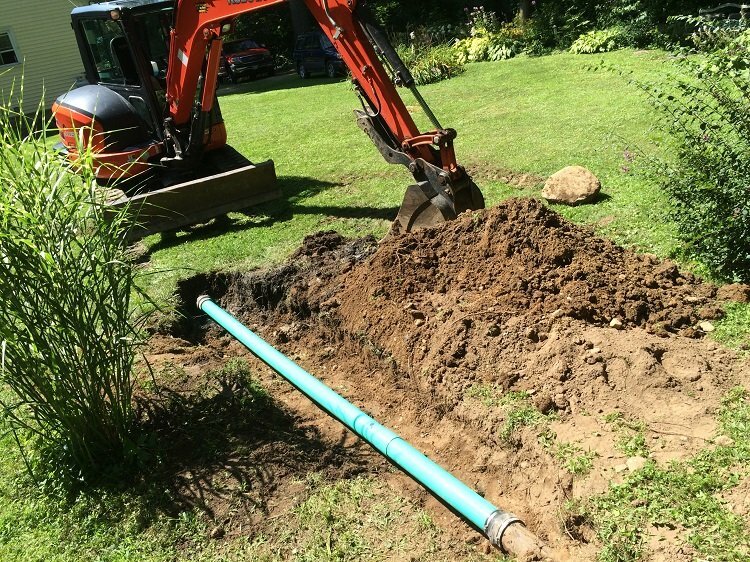 When you are in need of a licensed septic system contractor, call Kyle. 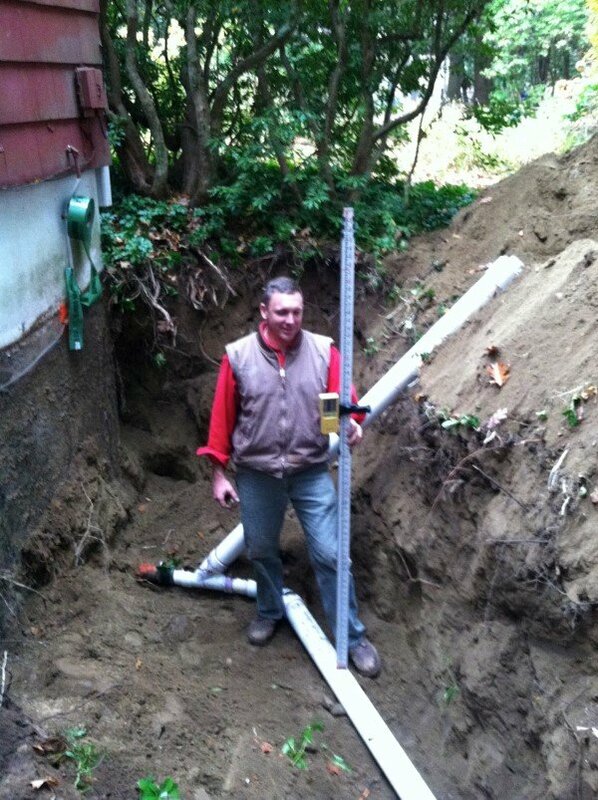 He has the experience and expertise to install the septic tank and leach field correctly. 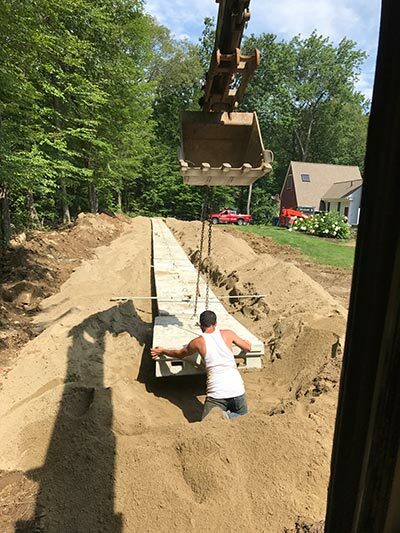 All work is guaranteed in writing. 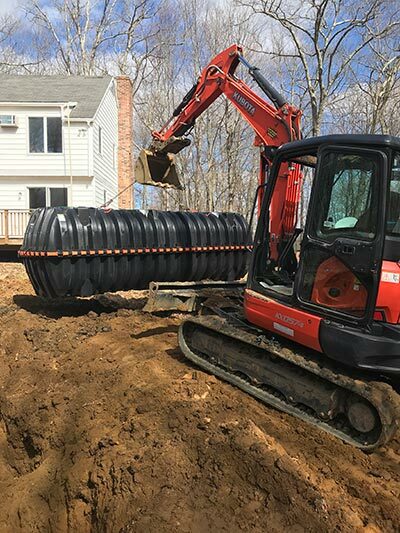 New septic field and tank Andover CT.
1,000 gallon tank replacement installation in Tolland CT.
85 foot Mantis 18” High Flow septic system installed in Coventry, CT.
130 linear ft septic drain field built into a hillside on a site in Storrs CT. 400 tons of septic sand was needed to perform this complicated system. 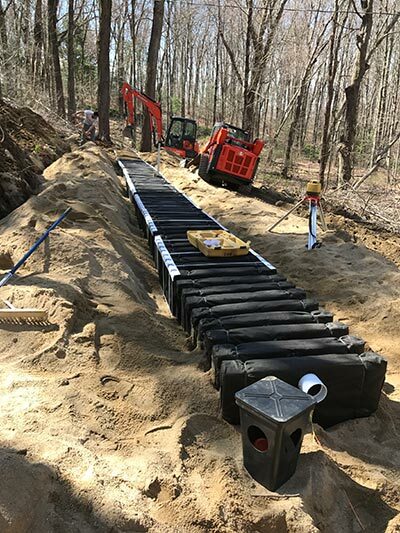 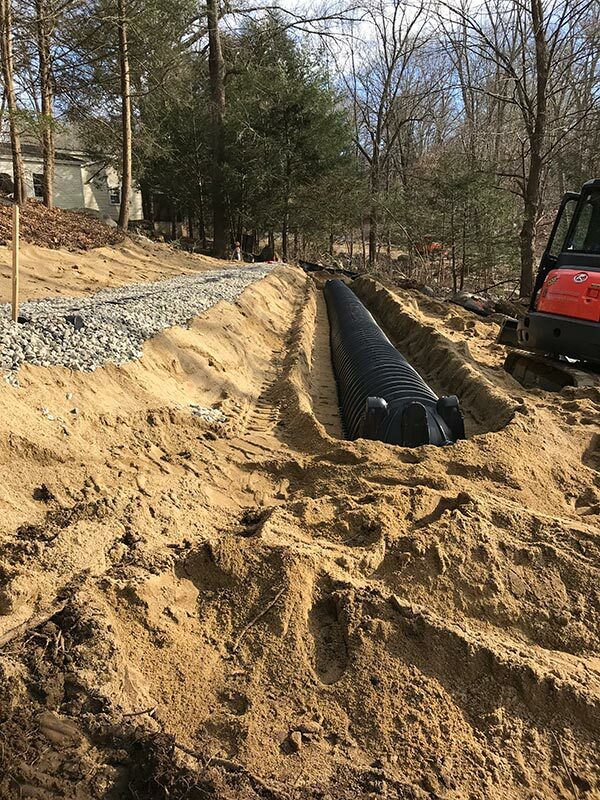 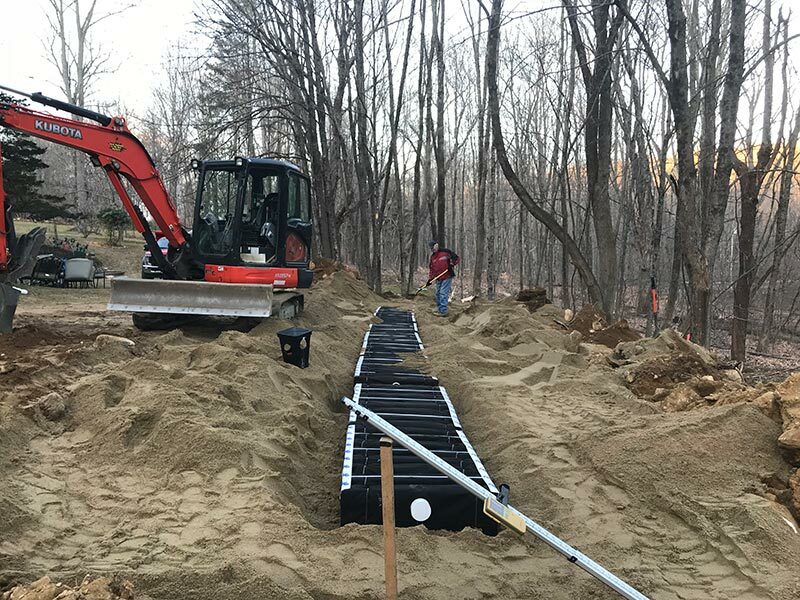 We installed a 394 square foot system with a 1,000 gallon tank on a Mansfield CT property. 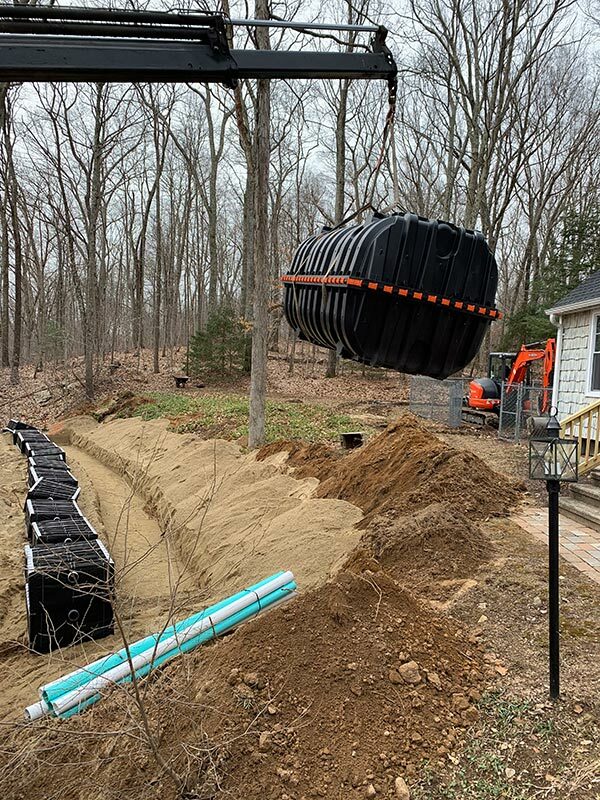 We installed a 220 foot infiltrated quick 4 septic field and 1500 gallon septic tank on a Hebron CT property. 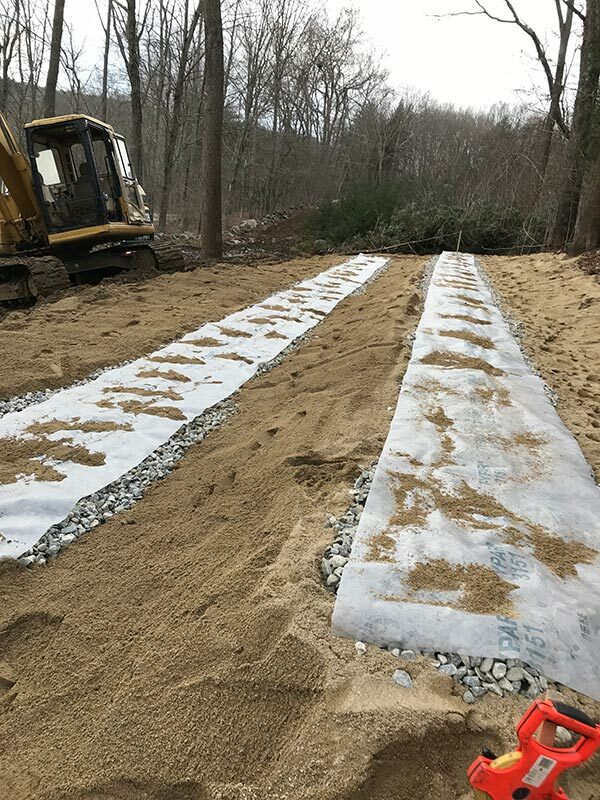 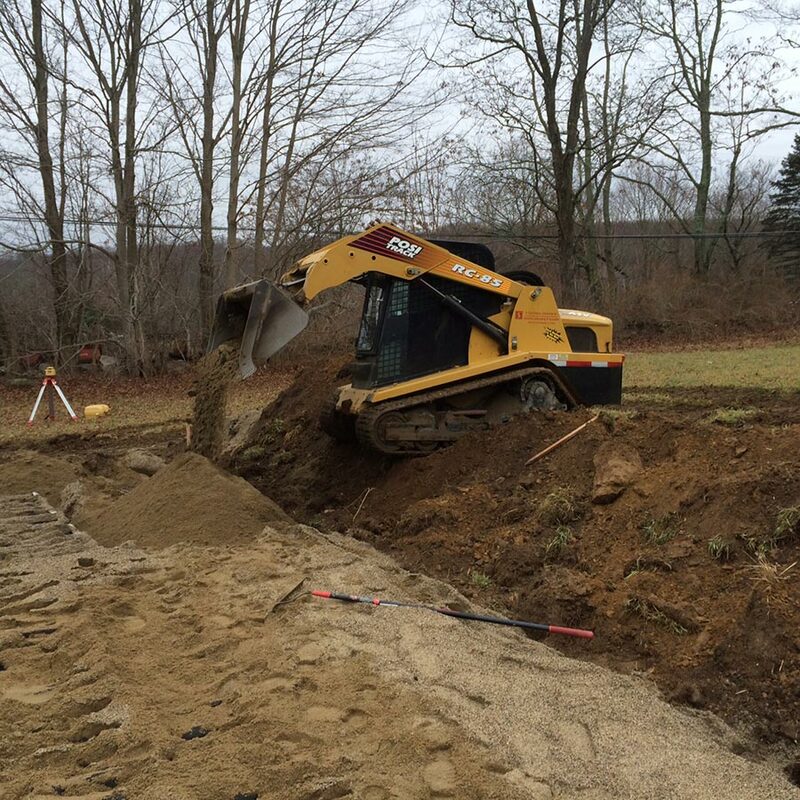 Installing a 50 ft septic field Scotland, Ct. 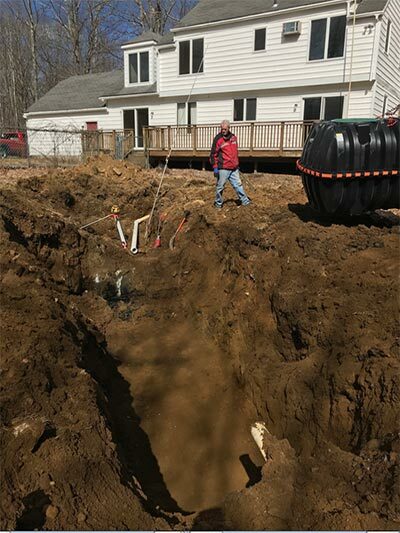 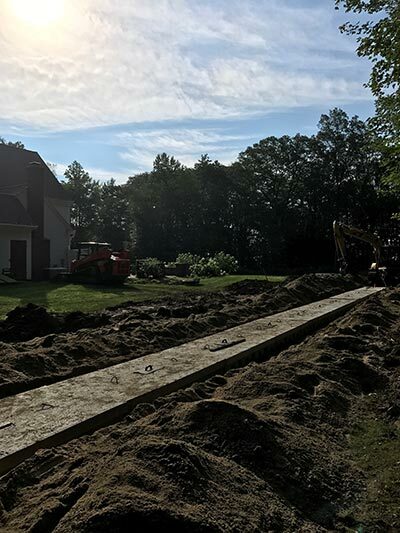 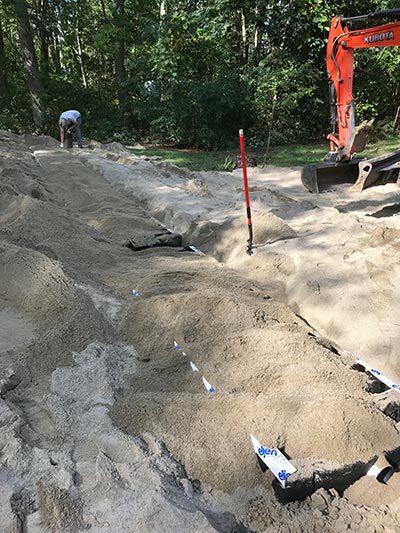 Installing a 1000 ft septic field Scotland, Ct.
Septic sewer line repair at Saint Mary's in Coventry CT. 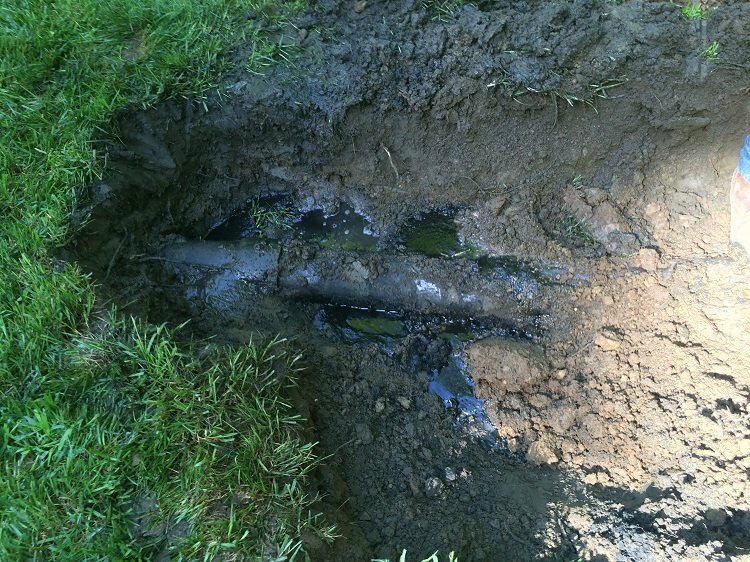 Roots had grown into the the pipe.